BOONE – It was a historic day at Kidd Brewer Stadium in Boone, North Carolina on Saturday. 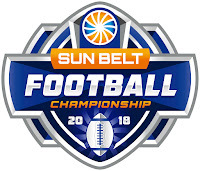 For the first time ever, the Sun Belt Conference held a conference championship game. By virtue of being the highest ranked team in the conference, East Division champion Appalachian State hosted the Louisiana Ragin' Cajuns for the right to be the first-ever conference championship game winner and clinching a berth in the New Orleans Bowl. Led by Darrynton Evans's 215 total yards (107 rushing, 108 returning) and Zac Thomas's two rushing touchdowns, the Appalachian State Mountaineers held off the Louisiana Ragin' Cajuns, 30-19, to clinch the Sun Belt Conference championship for the third year in a row. After winning the coin toss and electing to go on offense first, the Ragin' Cajuns drove fifty-five yards down the field and scored on a 37-yard Kyle Pfau field goal to take an early lead. That lead, and the momentum from scoring first, was short-lived as Darrynton Evans returned the ensuing kickoff ninety-seven yards to the Louisiana one-yard line. Marcus Williams scored on the next play and Appalachian had the lead and managed to hold onto it for the rest of the game. Louisiana added another Pfau field goal in the second quarter that capped an eleven-play, forty-one-yard drive. The Mountaineers responded with their own long drive, moving the ball seventy-five yards in nine plays with Sun Belt Offensive Player of the Year Zac Thomas keeping it on a twenty-five run up the middle for the second (of how many?) rushing touchdown on the day for the home team. When it looked like Louisiana was poised to get into scoring position late in the half, App State junior defensive back Josh Thomas stepped in front of a Ragin' Cajun pass for his third pick of the year and the Mountaineers went into the half leading by eight. Appalachian State started the third quarter with pretty much the same game plan they had in the first half – feed Darrynton Evans the ball. The sophomore running back's forty-eight-yard run got App State into scoring position, but the Ragin' Cajun defense stiffed up and the Mountaineers were forced to settle for a 42-yard Chandler Staton field goal. In what was almost a reverse of how the first half started, Louisiana's Raymond Calais returned the kickoff sixty-one-yards into App State territory. Four plays later, quarterback Andre Nunez called his own number on an eight-yard run for the first touchdown of the day for the visiting Ragin' Cajuns. In what turned out to be a [game changer/inconsequential over the course of the game], Appalachian State decided to gamble on a 4th and 1 from their own 34. The Louisiana defense stepped up and stopped the Mountaineers, giving the Ragin' Cajuns a chance to take the lead for the first time. Kidd Brewer Stadium stepped in at this point with the noise from "The Rock" causing three consecutive offensive penalties. But, the Ragin' Cajuns refused to be denied, converting the long first down and getting three points from another Pfau field goal. App State added another Chandler Staton field goal to close out the third quarter and it was only a four-point affair to begin the final stanza. The fourth quarter started with a strong defensive possession by the Mountaineers. After Anthony Flory pressured the Louisiana quarterback, Tae Hayes came down with the pick on the altered pass and the Mountaineers were in business. Zac Thomas called his own number again on a 4th and 1 from the 35-yard line and the Mountaineers were up by eleven and the home fans could taste the conference championship. As the minutes rolled off the clock, chants of "A-S-U!" erupted from the students in attendance. When the final whistle blew, the App State faithful who braved the cold and the rain poured on to the field at Kidd Brewer Stadium and celebrated the first-ever Sun Belt Conference Championship Game win. Darrynton Evans surpassed the one-thousand-yard rushing mark in the first half. 2018 was the seventh straight year that the Mountaineers had a thousand-yard rusher. What made it even more impressive was the fact that Evans didn't get the starting nod until Jalin Moore went down with an injury halfway through the season. 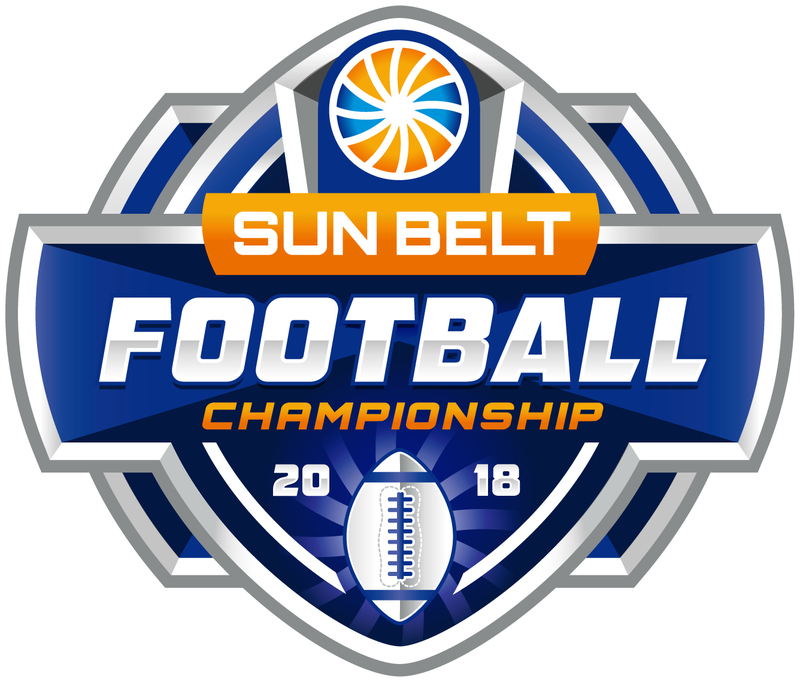 The seven field goals (four by Louisiana's Kyle Pfau and three by Appalachian State's Chandler Staton) in the game are sure to be a Sun Belt Conference Championship Game record for a while. The cold, rainy weather surely played a part in the lack of touchdowns, but the special teams play by both teams was a highlight.